Ask Yourselves This: Is A Tuned Nissan GT-R Better Than Stock? The Nissan GT-R is one of those cars that’s regularly being modified because, well, it can be. Whether it’s an ECU remap, additional aerodynamic body work, etc, Godzilla has been a tuning favorite since it arrived on the scene back in 2007 (yes, that’s 10 years ago). As the R35 GT-R enters the homestretch of its production cycle, Nissan has pretty much done nearly everything possible to make it as good as it can be. But then there’s the aftermarket factor, where the sky’s the limit as to what can be accomplished. So, the question Carfection is asking is whether a tuned GT-R is better than a stock one. 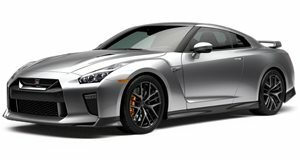 The 2017 GT-R is a masterful thing, and we doubt its creators like to see others tamper with what they’ve done. Then again, this 2009 GT-R modified by Knight Racer has given it an additional 90 hp over its 2017 counterpart, thanks to an ECU remap and other mods. All told, it’s got 650 hp and absolutely destroys the stock GT-R in a drag race. But there a few sacrifices, none of which performance enthusiasts will care too much about. So, stick with stock or modify? Hey, more power is more power.